Compiled by Michael Blain, 2006. This database, compiled by the Reverend Michael Blain, lists Anglican clergy ordained before 1931 who served in New Zealand, Polynesia and Melanesia. By Michael Blain (2003, 2013, PDF). Parish Churches in New Zealand. The Ecclesiologist Volume I. Number I. November, 1841. To which is Prefixed an Extract of a Letter from the Bishop to a Friend in England. Including an Account of His Visit to the Southern Island. Containing an Account of the Affray between the Settlers and the Natives at Kororareka. Including a Visit to the Chatham Islands, in the Year 1848. From The Colonial Church Chronicle, and Missionary Journal, Vol. IV (June 1851), pages 455-465. A Letter to His Grace the Duke of Newcastle, Secretary of State for the Colonies, &c. &c. &c. on behalf of the Melanesian Mission of the Bishop of New Zealand, and also on behalf of Missions to the Aborigines of Australia. Annals of the Diocese of New Zealand. Journal of a Walk with the Bishop of New Zealand, from Auckland to Taranaki in August 1855. By Charles John Abraham, Archdeacon of Waitemata. London: Printed for the Society for the Propagation of the Gospel, and sold by the Society for Promoting Christian Knowledge, 1856. From The Church Journal, New-York, Wednesday Evening, November 10, 1858. New York: Robert Carter & Brothers, 1866. From Mission Life, Volume I (first series) (1866), pages 133-141, 190-201 and 269-274. Christianity among the New Zealanders. The Melanesian Mission: A Letter to the Editors of the Australian Churchman. Nelson: R. Lucas and Son, 1869. By the late Right Rev. John Coleridge Patteson, D.D. From Mission Life: An Illustrated Magazine of Home and Foreign Church Work, edited by the Rev. J. J. Halcombe, M.A., London: W. Wells Gardner, 1872, Volume III, Part 1, pages 238-242. From Mission Life, Vol. III (part 2) (new series) (1872), pages 527-530. From Mission Life, Vol. III, new series (1872), pages 598-99. The Lessons of the Holy Sepulchre. A Sermon preached the Church of the Holy Sepulchre, Auckland, on the Eighth Anniversary of its Dedication, Wednesday, August 27, 1873. By J. R. Selwyn, M.A. Auckland: Upton & Co., Canada Buildings, Queen St., 1873. From Mission Life, Vol. IV (1873), page 144. Bishop Patteson: An address, prepared for parochial use in 1874. By the Rt. Rev. R. W. B. Elliot, D.D. Missionary Bishop of Western Texas. New York, Thomas Whittaker, n.d.
A Letter to the Right Rev. H.L. Jenner, D.D., in Reply to his Pamphlet, Entitled "The See of Dunedin, N.Z., The Title of the Right Rev. H.L. Jenner, D.D., to be accounted the First Bishop, briefly Vindicated." With an Answer to the Letter of the Right Rev. Bishop Abraham, in the "Guardian" of June 7th, 1871. By the Very Rev. Henry Jacobs, M.A., Dean of Christchurch, N.Z. Christchurch: Printed by the "Press" Company (Limited), at their Office, 1874. Love in Self-Sacrifice: A Sermon preached at Christ Church, Nelson, N.Z., on the First Sunday in Lent, 1877. Being the Occasion of the Consecration of the Right Rev. John Richardson Selwyn, M.A., Missionary Bishop of Melanesia. By B.T. 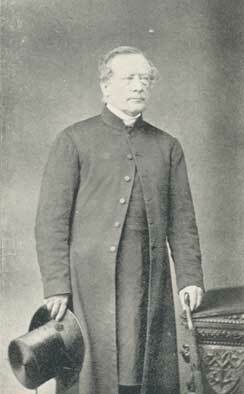 Dudley, Incumbent of S. Sepulchre's, Auckland, formerly of the Melanesian Mission Staff. Christchurch: G. Tombs and Co., 1877. Poneke, Noema: no publisher, 1882. London: Kegan, Paul, Trench & Co., 1888. Christchurch, Wellington and Dunedin, N.Z. Melbourne and London: Whitcombe & Tombs, 1909. Christchurch: Simpson and Williams, 1914. Town Hall, Auckland, Monday, August 23rd to Saturday, August 28th, 1926. Wellington: N.Z. Anglican Board of Missions, 1932. Looking Back: Being Scenes from Her Life and Some Thoughts on the Nature of Prayer. By Isabel Sanders, Deaconess in the Diocese of Waiapu. Auckland, New Zealand: Printed by the Church Army Press, 1957. Sermon Preached by the Primate of New Zealand, the Most Rev'd Allan Johnston, at the Inauguration of the Church of the Province of Melanesia, St. Barnabas Cathedral, Honiara, Solomon Islands, January 26, 1975. No place: no publisher, 1975. Sermon Delivered by the Most Reverend Allan H. Johnston, 29 June 1980, Synod Eucharist. Waikato: Diocese of Waikato, 1980. Dunedin: The Standing Committee of the Diocese of Dunedin, 1984. "The English Church" Revisited. Issues of Expansion and Identity in a Settler Church: The Anglican Church in new Zealand 1891-1945. Religious Communities of the Anglican Communion: Australia, New Zealand and the South Pacific. Braddon, ACT: Published privately, 2007. Church and State in the Post-Colonial Era: The Anglican Church and the Constitution in New Zealand. By Noel S. B. Cox. Auckland: Polygraphia (NZ) Ltd, 2008. By George Howard Douglas Connor. A thesis presented in partial fulfilment of the requirements for the degree of MA in history at Massey University, Albany, New Zealand, 2012. The Iron Priest: William Wellington Willock and the Vision of Anglican Canterbury.